The company has collaborated with designers for years in the development of products in its 58 mm Swiss Classic series both for fans and those new to the brand. In 2012, the team in Ibach turned the power over to social media. The concept is called crowdsourcing. It is a new element in the design process; vivid, exceptional and yet wholly new to society. Crowdsourcing is strongly supported by social media. 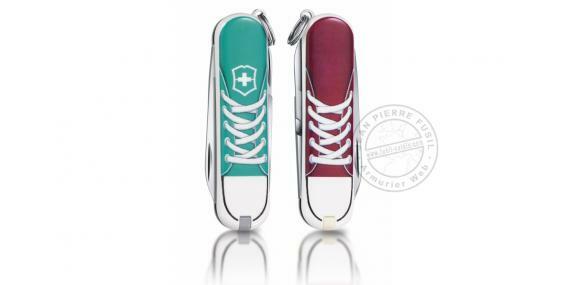 In a first step, Victorinox received more than 1,000 designs from all over the world. In a special voting contest, employees and fans on FACEBOOK were able to vote for the 10 most popular knives.